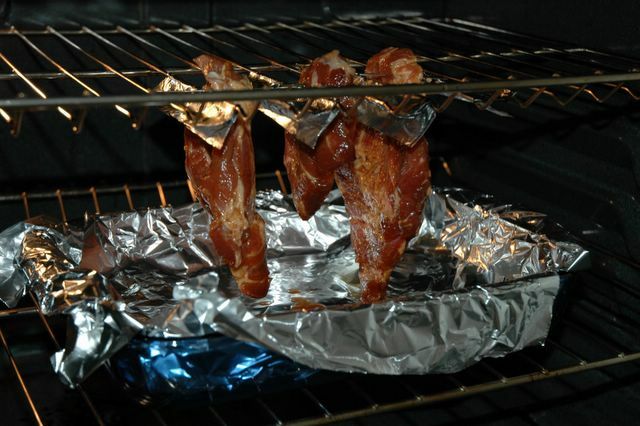 Raw pork hang-baking in the oven. Make sure there's a grease trapping device. Pretty much everyone loves the sweet and tangy tastes of BBQ pork :-) I hope you like the recipe if you are going to try it!